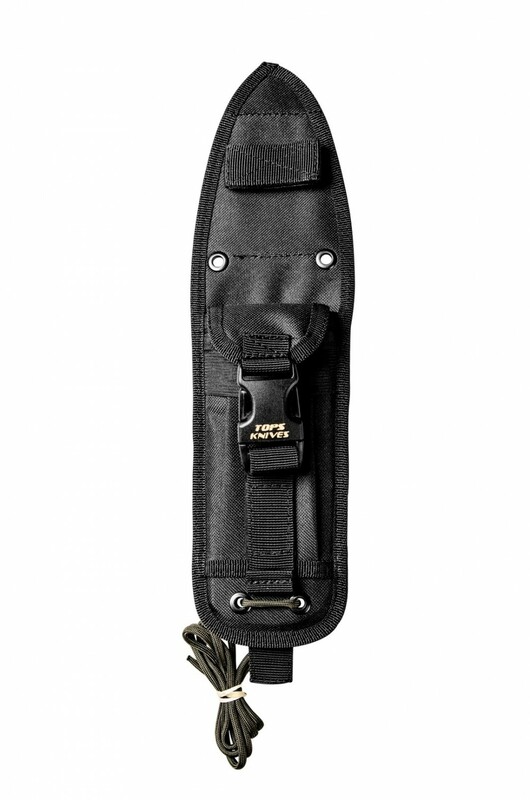 Versatility, functionality, and ease of use, make this nylon sheath for the Tom Brown Tracker a great extra for the knife. 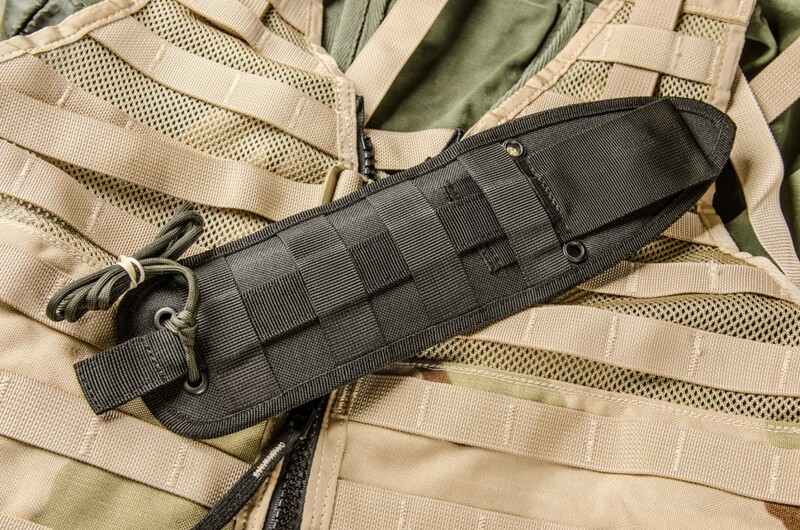 After a long and extensive design and test period, we are pleased to report that we now have a really great, military grade, ballistic nylon sheath with a Kydex insert specifically designed and fitted for the Tom Brown Tracker knife (the original, large size). This is truly a unique, functional, strong design, with a good profile that is easy to use. 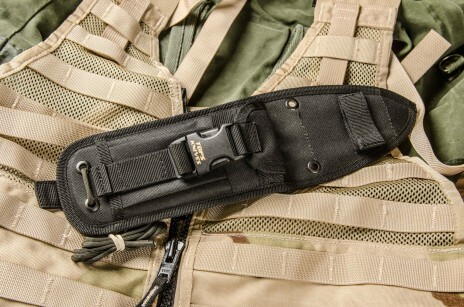 It is designed to be ambidextrous and can be worn hanging vertically on a pack, vest, or belt. It can also be worn scout style across the back. It is compatible with a Molle rig.